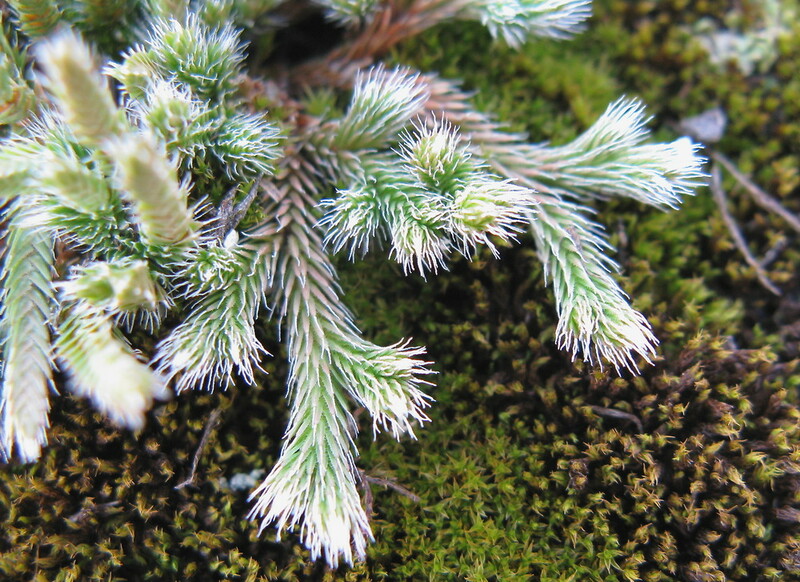 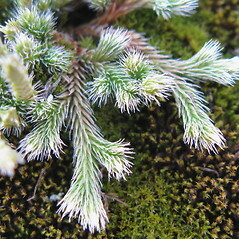 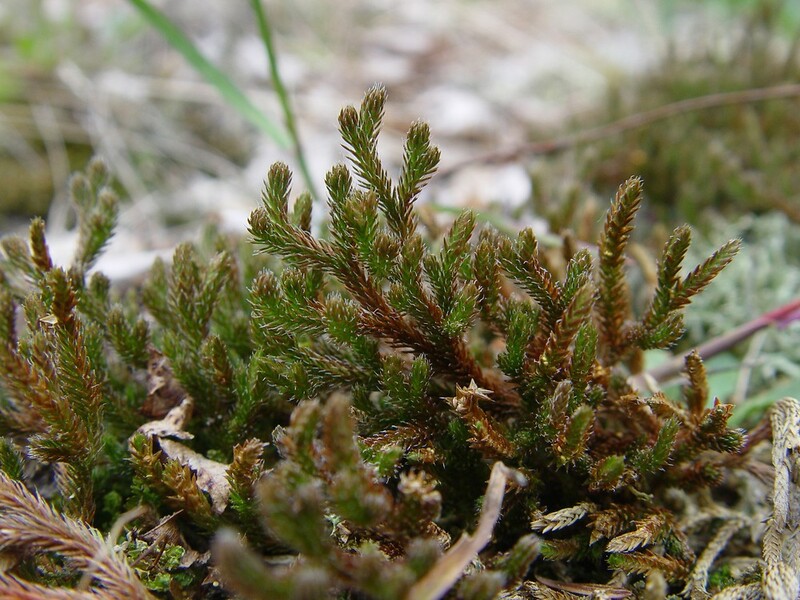 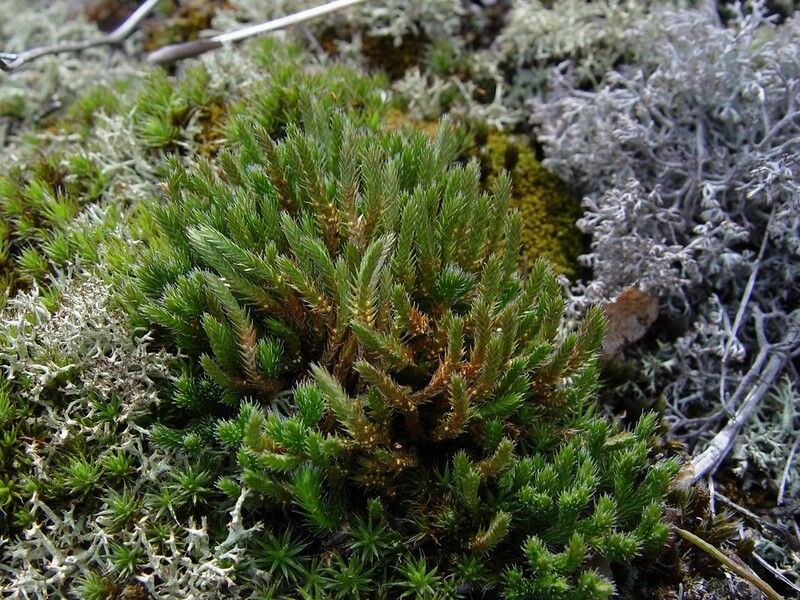 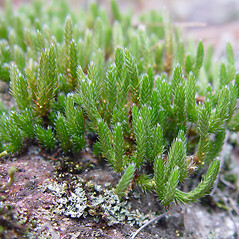 Ledge spikemoss has the widest range of any spikemoss (Selaginella) in North America. 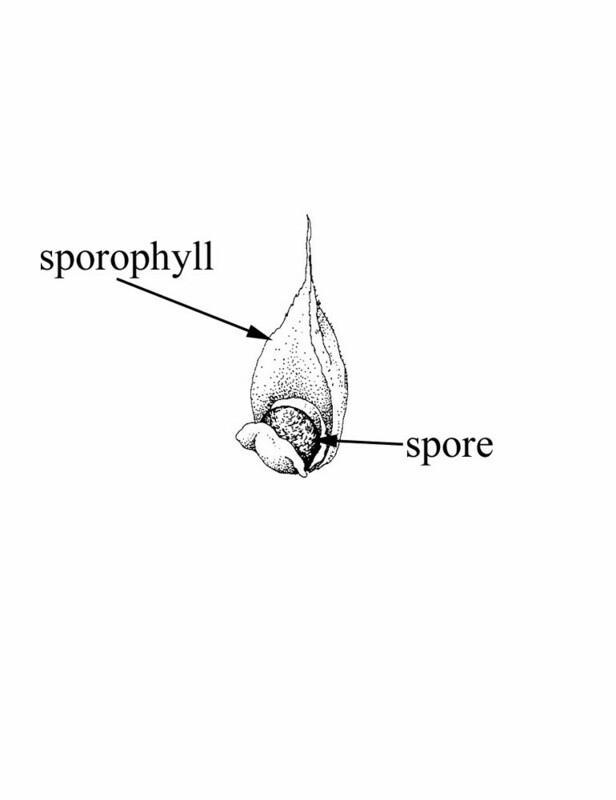 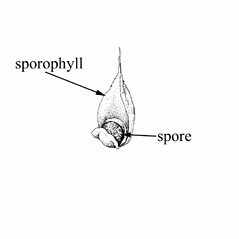 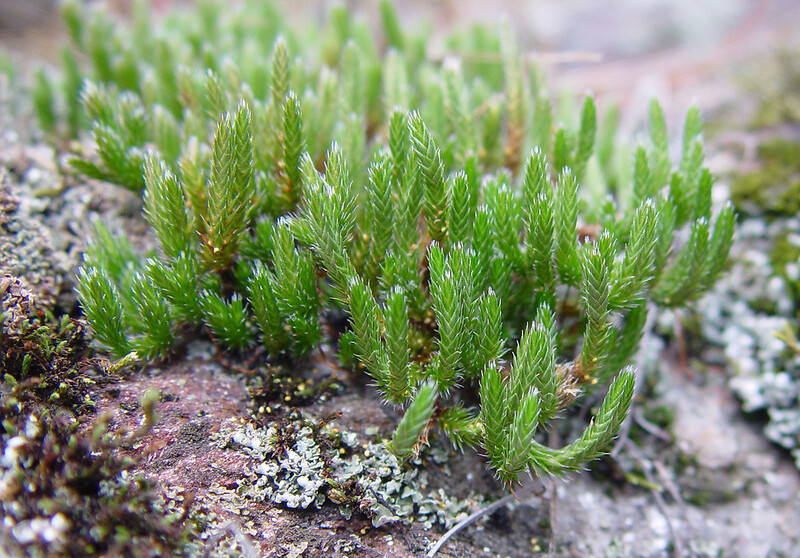 It grows on dry, exposed rock, sometimes packed sand or gravel. 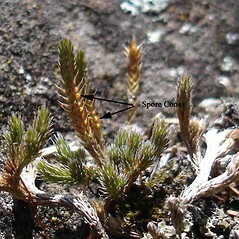 ledge spikemoss. 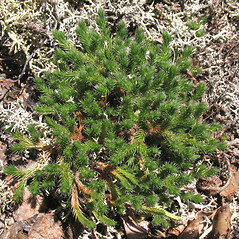 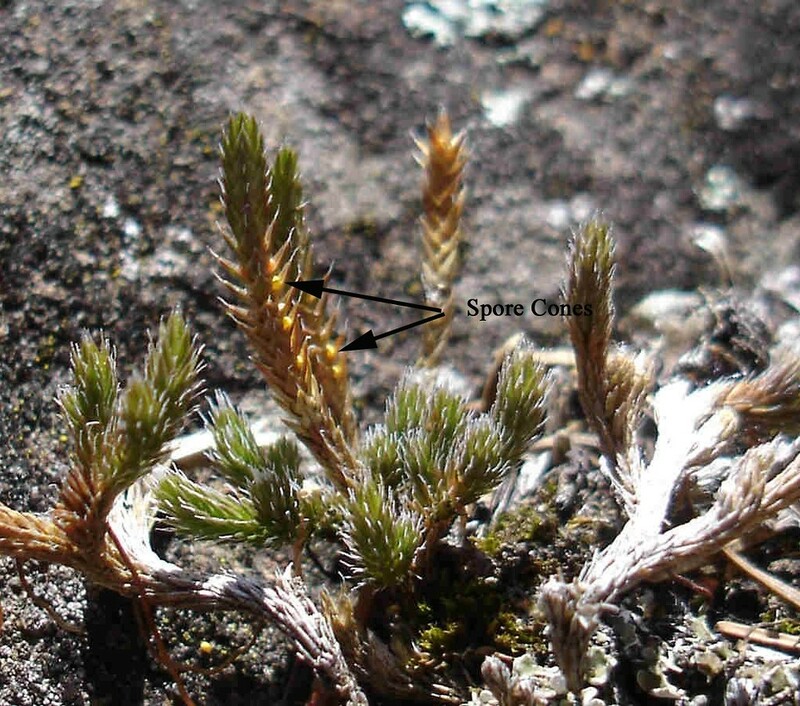 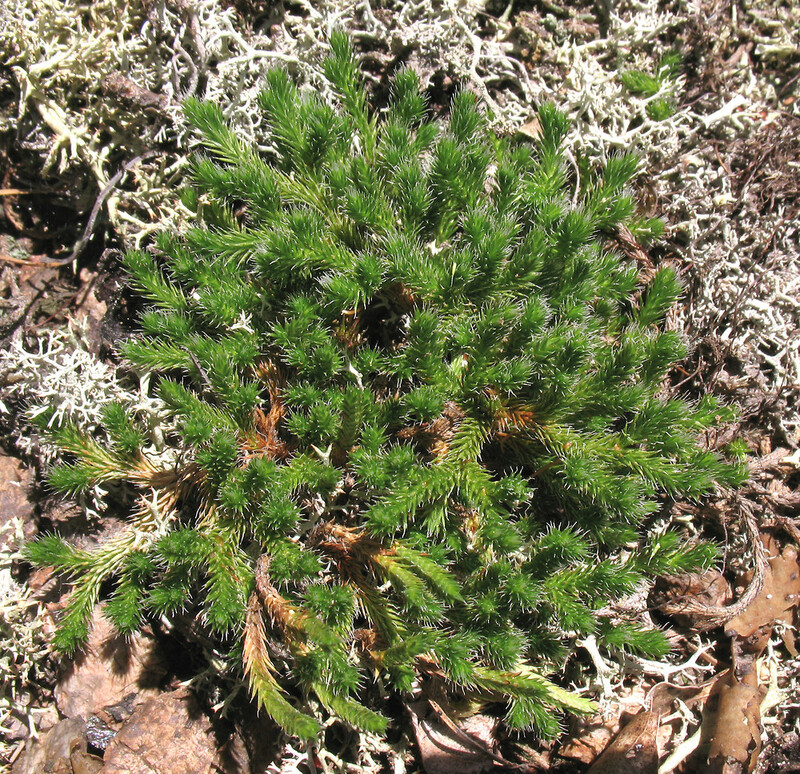 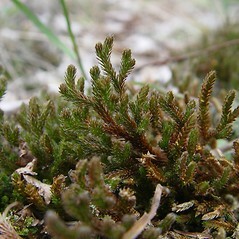 Bryodesma rupestre (L.) Soják; Lycopodium rupestre L. • CT, MA, ME, NH, RI, VT; throughout. 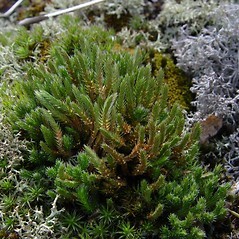 Dry, exposed rock of various pH, less frequently on packed sand and gravel.